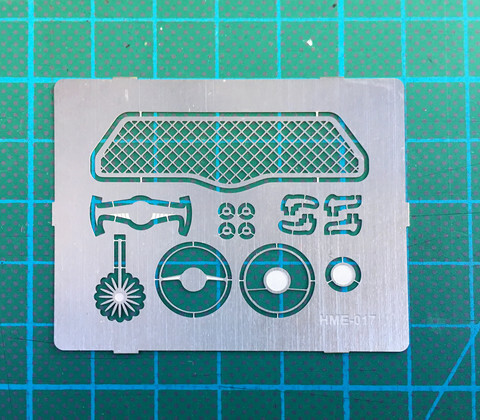 These parts are designed especially for Tamiya Volkswagen Beetle but can be used in other Beetle kits also. Kit includes parcel tray under dashboard, flower, steering wheel spokes etc. Material: 0,2mm nickled brass.